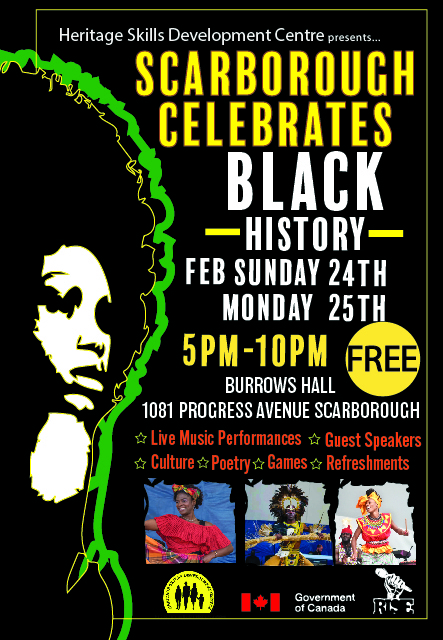 Heritage Skills Development Centre ( HSDC) presents – Scarborough Celebrates Black History, a special two day event that celebrates the history, heritage and accomplishments of the Black community in Canada. 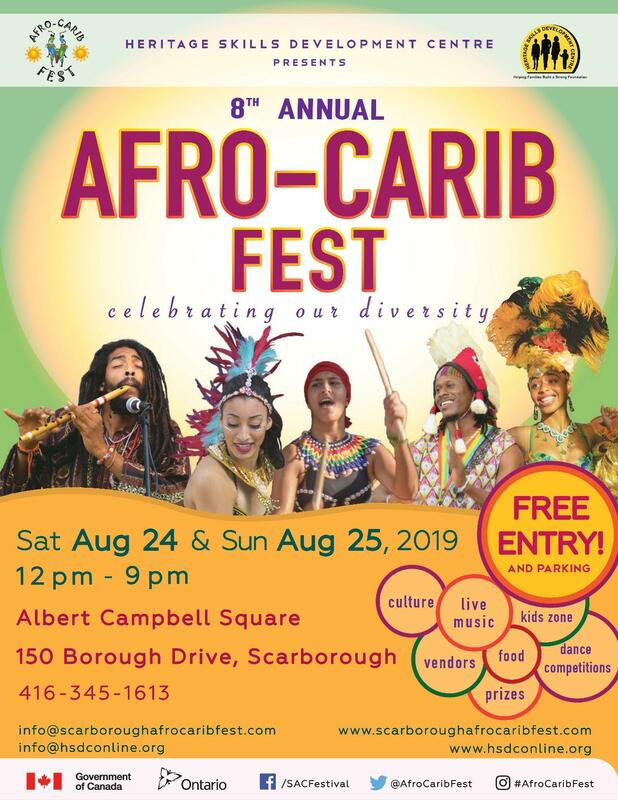 The event will take place on Sunday February 24 and Monday February 25, 2019 from 5:00 pm – 10:00 pm at the Burrows Hall, 1081 Progress Avenue, Scarborough. The event is supported by the Government of Canada. 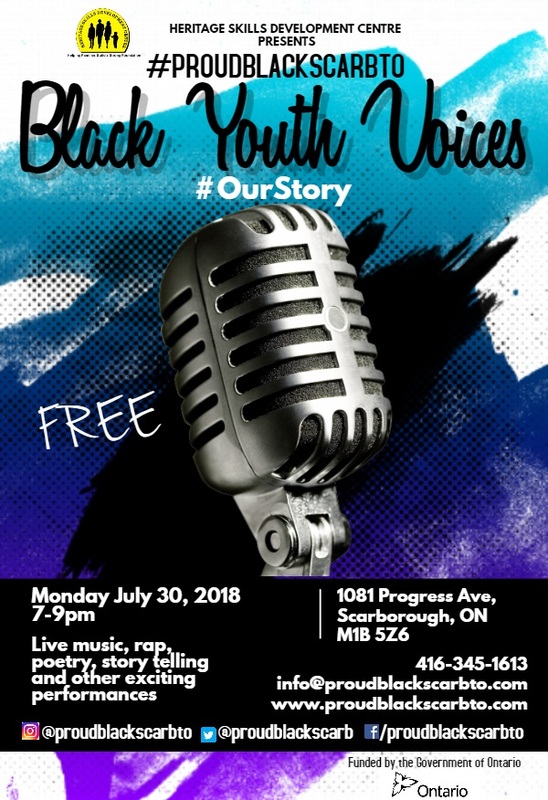 Join us to celebrate Black History Month through cultural and artistic presentations, live musical performances from local artists, dance and drum poetry, games, networking and interactive activities. The event aims to foster civic pride, engage community members, leaders and key note speakers through networking, learning and sharing. The event is free and open to all audiences.